During Women’s Health Week, starting on Mother’s Day, celebrate yourself, your mom, your sister, your aunt, your friends, colleagues, and loved ones by reminding them about the five step checklist for better health. 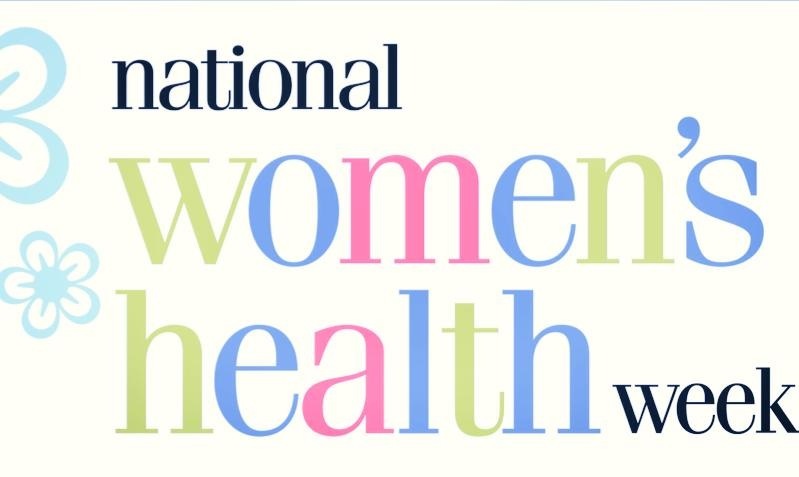 National Women’s Health Week is coordinated by the U.S. Department of Health and Human Services with the purpose of promoting and empowering women to make their health a priority. Women often act as caregivers for their families, putting their personal needs and well-being on the backburner. Whether the checklist helps to remind you about your yearly mammogram or encourages you to eat an extra serving of vegetables, take this week to reevaluate and go through the five steps to lower your disease risk and improve your overall health. Step 1: Visit your health care professional. Depending on your age and family history, you may need to receive yearly checkups or go for preventative screenings. Check out this interactive screening chart, which goes through bone, breast, diabetes, heart and reproductive health, specific to age. Step 2: Get moving. 150 minutes of moderate-intensity aerobic exercise and physical activity per week such as walking, bicycling, ballroom dancing and moderate housework provide tremendous health benefits. Short activities can also add up. Walk 10-minutes during lunch hour or take the stairs instead of the elevator and make every step count! o Eat more vegetables. Most women should have about 2.5 servings of vegetables a day, where 1 serving= 1 cup raw, cooked or frozen, 1 cup vegetable juice or 2 cups raw leafy greens. o Don’t drink your calories. The Nurses’ Health Study found that, on average, women who reduced their intake of sugar-sweetened beverages (coffee, tea, energy drinks, soda, juice) cut their daily caloric intake by 319 calories! Step 4: Pay attention to mental health. We often forget how day-to-day activities affect our health, such as lack of sleep or the stress we encounter every day. Here you will find information about mental health issues and links to the best resources. Step 5: Practice healthy behaviors. Avoid harmful behaviors such as smoking, binge drinking, not wearing a seat belt, bicycling without a helmet, and texting while driving (or walking!). What step will you start with during women’s health week? Office of Women’s Health. U.S. Department of Health and Human Services. Environmental Nutrition Archives. Environmental Nutrition. Is Gluten-Free Living Necessary for Everyone?